Call-and answer chanting and other sounding can heal, reveal and uplift us – learning from a place deeper than the every day thinking mind. -Kirtan Workshop at The Hub/Loft 404, Toronto. 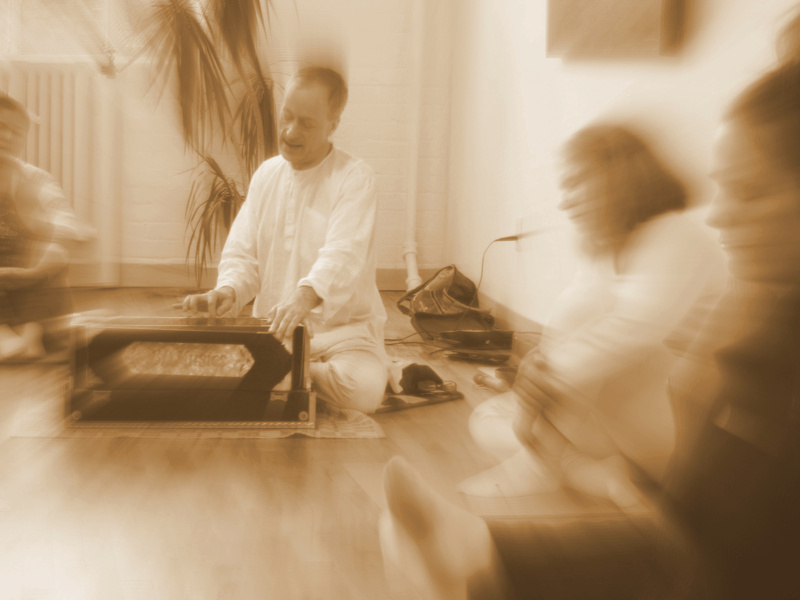 – Multi-disciplinary retreat day at The Yoga House, Toronto. – “Field of Sound -Music as Medicine” at Institute of Traditional Medicine, Toronto. – Datta Kirtan at Shirdi Sai Mandir, Scarborough.